Hatstand Opera offer you the laughter, passion and sheer joy of professional opera, sung live by experienced opera singers who love what they do! For over 20 years, Hatstand Opera have presented innovative and entertaining opera highlights performances in venues across the UK and beyond. 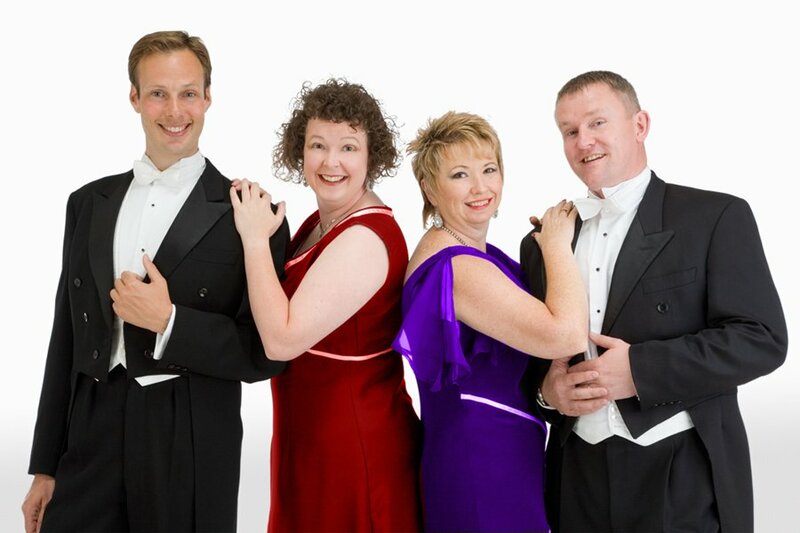 Hatstand Opera are an international opera group “for hire”, at prices that will delight you! For more information, call us today on 01252 511762.
Who performs with Hatstand Opera? All our performers are experienced opera singers who work with all the major UK opera companies and beyond. They also perform with Hatstand Opera, because they just love it! Our opera stars also enjoy delighting audiences with a wide variety of music, from grand opera, operettas, classic musicals, Gilbert and Sullivan, to popular song. They are also more than happy to sing live in almost any venue or space. This ability to create musical magic almost anywhere is what sets Hatstand Opera apart from many other opera companies in the UK. Hatstand Opera was founded by mezzosoprano Kirsty Young, making their company debut on Classic FM in a live broadcast just before Christmas 1993. From the very beginning Hatstand were touring the country performing for rural touring schemes, an initiative to bring the best quality entertainment to small and often isolated rural communities across England and Wales. Our performers sang up to 85 shows a year, each in a different venue, to audiences new to live classical music, let alone opera. This wealth of experience ensures we can sing almost literally anywhere, with the minimum of fuss and the maximum of impact. As the audiences enjoyed our shows so much, we were asked to perform at their private parties, birthday celebrations, weddings and corporate events. Many asked us to help raise fund for charity with an opera performance round dinner, or as an open air opera picnic event. Theatres and music festivals got to hear of us too, and soon we were in demand to create bespoke performances in festivals across the UK, from a chicken-themed tour of Northern Ireland venues to becoming the Company in Residence at the BOC Covent Garden Festival for two years. Today, we concentrate on private functions for charities, businesses and individuals rather than public performances, plus regular appearances for music societies and past clients who just keep asking us back!